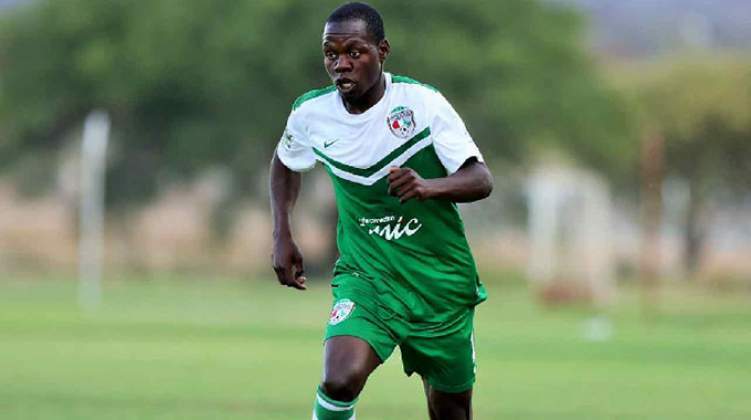 AT a time when Namibian football is at the crossroads, chaos has engulfed their top-flight league with an unheralded Zimbabwean player at the centre of a controversy that led to the expulsion of Premiership club Young Africans FC at the weekend. Tapiwa Simon Musekiwa is accused of colluding with senior officials at the club to facilitate his registration with the newboys last season using a Zimbabwean passport that was "tampered" with. For the whole of the 2017-2018 season, Musekiwa used a false identity after he was registered as Albert Mujikirera. Young Africans finished fifth in their debut season. However, the ill-advised move backfired terribly last week when the Namibia Premier League's Disciplinary Committee decided to kick the club out of the competition because of the seriousness of the offence. According to The Namibian newspaper, the league's Disciplinary Committee found Young Africans guilty on two counts of fraud, both counts related to the use and registration of the player under a false identity, which the league's judicial arm felt was intentional and pre-planned. The player admitted falsifying his identity in an affidavit with the Namibian Police dated October 9, 2018, where he claimed he was coerced into doing so by an unnamed individual who facilitated his registration. "I used this name due to the fact that the person registering told me to do so. My passport was not available, as I was only using an emergency travelling document. "I hereby declare that I am Tapiwa Simon Musekiwa, born on the 13th of February 1992, in Kwekwe Zimbabwe. I want to use my original name and documents," said Musekiwa. The player is on the books of African Stars, a team he joined at the beginning of this season. Musekiwa is not known back home since he has never played professional football in Zimbabwe. Interestingly, he was cleared by ZIFA in 2016 after the club requested his International Transfer Certificate. The judgment to expel Young Africans, which was delivered with only nine games played, has thrown the entire league into disarray. The club, however, has since appealed the decision and they gave the Namibia Premier League until yesterday to reinstate them. The alleged fraud came to light when one of their rivals Young Chiefs, who were relegated at the end of last season, submitted a complaint with the NPL. In their damning dossier to the NPL, Chiefs detailed how "the player and his team" colluded to register him with a passport of which the "photo does not belong to the person whose details appear on the passport." Young Africans have played seven games this season but all their results have now been nullified. Their relegation will also have an impact on the Standard Bank Top Eight competition due to start next weekend as a new team will have to take their place.